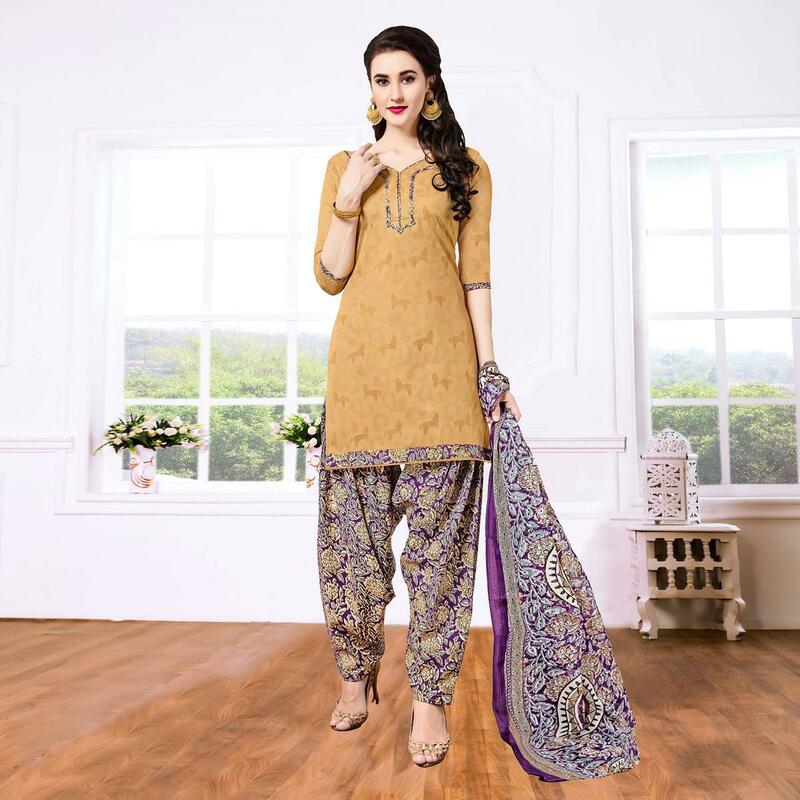 This mustard patiala suit is versatile enough to take you from a day in the office to an evening function. Featuring cotton blend kameez enriched with beautiful print work done. Paired with printed purple poly cotton bottom and chiffon dupatta. It's a perfect outfit to wear for kitty parties and social get together. Grab this suit now as it's easy to maintain and comfortable to wear all day long.